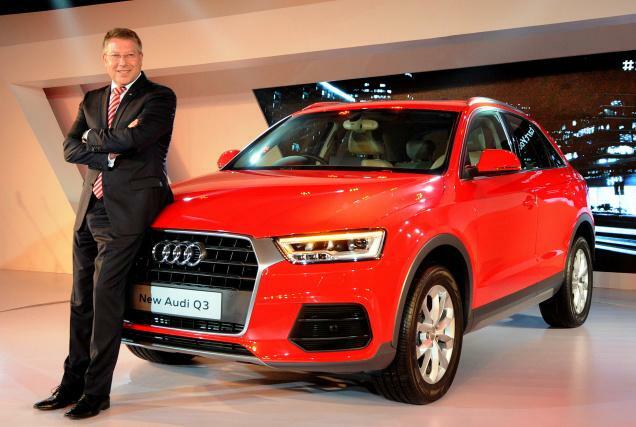 A new Audi Q3 car with unique features including Eminem, aldi headlights, rave review cameras and rare sensors was launched at a grand event held in the national capital recently. “Audi Q3 is all about people like us, people like all CO’s and all young entrepreneurs,” said Nidhi, the General Manager of Operations (Audi West), while speaking on the occasion. “The slogan “Start Young live Big” is all about new Audi Q3 as Audi always talks about being supportive, being progressive and being smart. And this is what the smart body we have with us,” she added. Talking about the marketing strategies, Nidhi said that the unique features would highlight the product. “Audi Q3 has always been a halo product for everyone, but now many advantages like eminem, the aldi headlights, rave review cameras and rare sensors have been added in new Audi Q3. And all these features, which were never before in Q3, will highlight the product,” she said. The people from all walks of life marked their presence at the launch of this luxury car. Musician Dhruv Visvanath, portrait photographer Bhoomika and chef Inayata were among others present. Hits: 812, Rating : ( 5 ) by 1 User(s).